PCE UPS SYSTEMS Inc. is a leading provider of power protection systems specialist. 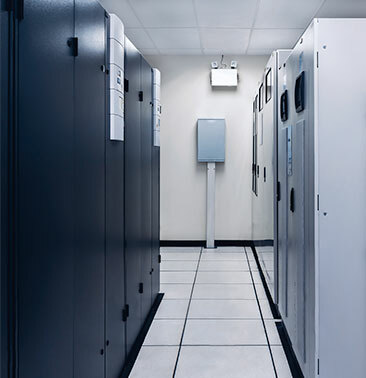 We offer innovative, mission-critical power solutions to your business needs. Our mission is to deliver professional design solutions, premium power quality products and superior services to help our customers unleash their value. We provide energy efficient solutions at scale. We apply our expertise and passion to build secure power infrastructure that meets your needs and scale as you grow. Our power protection equipments provide efficient, reliable and scalable power ensuring higher system availability while managing your power costs and keeping your data safe. We are committed to fostering a culture of trust. We deliver power protection systems and services that are one technological step ahead, offer new customized solutions, and constantly grow your value. Our high end power products ensure your business applications availability and provide safe, reliable and efficient power in the most extreme conditions. We uphold high standards of ethics, embedding responsible business practices in our activities and throughout our supply chain partnerships. We strive for innovation and growth. We offer innovative, mission critical solutions through open collaboration with customers, stakeholders, and our researchers. We work together to offer power systems that anticipate the market's demands, solve the most challenging power problems and sustainably develop new business solutions. PCE UPS SYSTEMS Inc. is a global supplier of a wide range of power protection and power quality solutions. PCE UPS SYSTEMS Inc. designs, manufactures, markets, and provides services that help our clients perform a better knowing that the power protection needs for their mission-critical systems are in safe hands. The company differentiates itself on several levels, but it is particularly known for its solutions approach to solving everyday power problems simply and efficiently. Drawing upon a vast array of resources and experience, PCE has earned a solid reputation for performance that gives customers added confidence in their technology investments. PCE UPS SYSTEMS Inc. offers a full line of Uninterruptible Power Supplies (UPS), inverters, stabilizers, batteries, accessories and switch systems as well as power management software and services. Our UPS product line ranges from 600VA up to 160kVA. PCE UPS SYSTEMS Inc. offers one of the largest portfolios of power protection products in the industry. The company dominates several commercial and federal government markets. It is also one of the market share leader in supplying UPS products ranging from end users and small businesses to financial, healthcare, telecommunication, education to protect their valuable data and sensitive electronic systems from power problems. PCE UPS SYSTEMS Inc. has a global mandate to carry out engineering and product development in the world market. Our product reliability and success stories are more than enough to describe the people behind research and development, test and measurement, production and distribution. The Research and Development staffs are in a continuous research for new power management and protection procedures to reach the utmost protection techniques and continuous reliability and assurance for our customers. The Test and Measurement departments are constantly on their marks introducing all types of known disaster possibilities to disrupt, delay and overload products. Such extreme test assists research and development to overcome all known difficulties and create remedies for extreme cases. The production of PCE is a multi-process procedure to manufacture an error-free, reliable and superior product highly monitored during the assembly and testing to insure best performance outcome with extraordinary features and specifications. All these references make up our greatest asset, Satisfied Customers! With a cohesive strategy, unique culture, and common mission, PCE demonstrates that excellence, integrity and commitment can-and should-go along with success and growth. PCE UPS SYSTEMS Inc.’s mission is to provide its customers with the best and most reliable power protection solutions at a competitive price. Our solutions, coupled with superior after-sales support and services, give our client the best power security required for their mission critical applications. PCE Group Member of Pronergy . Products Manufactured: power protection equipment, inverters, stabilizers, uninterruptible power supplies, & batteries. PCE UPS SYSTEMS Inc. target market is all individuals and establishments that require power protection solutions. It addresses the business needs of Enterprises, industries, governmental and public institutions. Our Power Systems enable our customers to unleash their business value and build secure power infrastructure for mission-critical applications. Customers require power protection to shield their application from physical damage and data loss resulting from power disturbances or blackouts. Since businesses and individuals depend completely on PCs to carry out their operations, ensuring a safe power source is becoming increasingly mandatory. At the same time, the stress on the public power network is increasing and thus power problems are occurring more often. These conditions indicate that the demand for power protection and backup systems will be increasing hand in hand with computer sales in the foreseeable future. End-user/Small Business: Usually requires protection for a single PC workstation or Home Electronic devices. Requires small devices in the range of 600VA up to 10kVA. Medium/Large Business: Require small systems for their workstations, plus advanced power protection systems for their servers, networking equipment, premises security systems, etc. Typical power range for enterprise operations, other than desktop workstations is 5kVA up to 30kVA. Power-Critical Sectors: Industry sectors such as healthcare, banking, telecommunications, and any business in which the tiniest disruption in power immediately yields disastrous consequences such as loss of life, legal liability, or significant loss in business competitiveness. The core-competencies of such business depend on having clean redundant power feeding their operations at all times, and thus invest heavily in having a fail-proof power protection system since their existence depends on such a power solution that range from 15kVA up to 160kVA. For the retail/small business segment, the company will rely on local PC hardware dealers to act as distribution channels for its low-end products. Such dealers already have a distribution network set up and adding PCE’s low-end products to their portfolio should be an easy task. These products are commoditized and they require little or no assistance during installation at the customer’s premises. Maintenance support requests for this segment will be forwarded by the dealers to PCE office in charge of the region. The marketing material directed to this segment will stress the extra features and benefits that the product has. In addition, PCE will be launching a stylish line of small-sized UPSs which are targeted for Home Entertainment Systems, Home PCs, and small offices. For the Medium/Large Business segment, PCE will be more proactive by having its own sales team track leads and initiate contacts. The sales team will be supported by appropriate marketing material enabling it to effectively drive PCE’s message to customers. In addition, the sales team will be scouting for bids and soliciting RFQs for large power protection solutions. PCE would be stressing the quality of the product. For the Power-Critical market segment, PCE will be developing a specialized subdivision of the Sales department to cater to such customers. The subdivision will be backed up by a capable team of engineers who would help potential customers in designing complete power protection solutions. The sales team would follow a predefined customer-engagement process which would help the customers articulate their needs more clearly and thus helps PCE UPS SYSTEMS Inc. serve these customers better by tailoring solutions to these specific needs. In addition, the sales team will be scouting for bids and soliciting RFQs for large power protection solutions. PCE UPS SYSTEMS Inc. would do its best so that customers would feel that they are being taken care of by a meticulous staff and that PCE is doing its best to provide them with the most superior service possible. PCE will perform several initiatives geared towards cultivating first-rate customer relationships. For instance, PCE will give special attention to its maintenance and support division to ensure that customer satisfaction remains rated among the best in the industry. Should you need any further information, please contact our offices We are looking forward to hear from you. PCE UPS SYSTEMS Inc. partnerships are founded on trust and commitment. We aim to provide the best programs in the industry where our partners are able to identify and solve customer challenges, provide high level of technical expertise and best value power protection system services to enterprise customers. By joining PCE UPS Systems Inc. Channel Partnership Program, we at PCE UPS Systems Inc. believe we can jointly achieve more. Our Channel program strives at growing profitable business for us and our partners and creating long-term successful relationships. 4. Benefit from our financial reward program while offering the ultimate overall value to your customers By combining key strengths in a partnership, we form a joint platform to succeed in today’s challenging market and to address new market opportunities. At PCE UPS SYSTEMS, we implement environmentally sustainable processes into our operations. our aim is to become more socially responsible and have a positive impact on the health of the environment. We are committed to a strategy that encourages pollution prevention, energy efficiency, renewable energy products, low carbon emissions and lifecycle management. Our environmentally responsible lifecycle management approach is associated with our products and services from production, distribution, use till end-of-life management. We focus on minimizing the environmental impacts from our products and solutions, reducing the carbon footprint of our own activities and promoting energy efficient products and services to optimize our solutions. Our aspiration is to create a high impact learning culture, to support innovation and creativity. Through a diverse and inclusive working environment, our employees are motivated, engaged and inspired to reach their full potential. We encourage our people by providing training opportunities, competitive reward system and equal opportunities. We also have a strong management system covering heath and safety equity, human rights, labor rights and anti-corruption. We expect suppliers to comply with our robust supplier requirements and meet our business core values and culture. We reinforce this through a collaborative work to assess compliance and improve sustainability capability in our supply chain. At PCE UPS SYSTEMS Inc. we care about the communities in which we work and live. We conduct programs supporting education related to our business activities, disaster relief efforts, local projects as our part of environmental sustainability commitment. We also encourage our employees to volunteer and support local programs outside of the company.